I have my project on GitHub at some location, git@github.com:myname/oldrep.git. Now I want to push all my code to a new repository at some other location, git@github.com:newname/newrep.git. You are getting this error because "origin" is not available. "origin" is a convention not part of the command. "origin" is the local name of the remote repository. The previous solutions seem to ignore origin, and they only suggest to use another name. When you just want to use git push origin, keep reading. The problem appears because a wrong order of Git configuration is followed. You might have already added a 'git origin' to your .git configuration. You can simply edit your configuration file in a text editor. If there is a remote section in your repository's configuration file, and the URL matches, you need only to add push configuration. If you use a public URL for fetching, you can put in the URL for pushing as 'pushurl' (warning: this requires the just-released Git version 1.6.4). Since origin already exist remove it. If trying to update a remote that doesn't exist you will receive a error. So be careful of that. Use the git remote rename command to rename an existing remote. An existing remote name, for example, origin. You don't have to remove your existing "origin" remote, just use a name other than "origin" for your remote add, e.g. Open the Git Shell from task menu. This will open a power shell including Git commands. 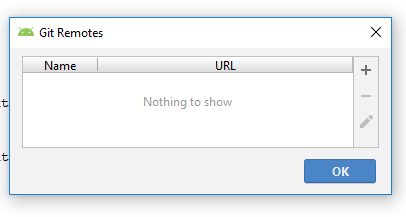 If it's not connected, it might show origin only. Check again with step 4. It should show origin only, instead of the fetch and push path. Now that your old remote repository is disconnected, you can add the new remote repository. Use the following to connect to your new repository. Note: In case you are using Bitbucket, you would create a project on Bitbucket first. After creation, Bitbucket will display all required Git commands to push your repository to remote, which look similar to the next code snippet. However, this works for other repositories, too. I had the same problem when I first set up using Bitbucket. You should change the name of the remote repository to something else. Yes, these are for repository init and adding a new remote. Just with a change of name. (where REPOHOME is the path to your local clone of the repository). git push origin master It will start the process and creating the new branch. You can see your work is pushed to github. This can also happen when you forget to make a first commit. Open to Android Studio > VCS > Git > Remotes Delete all the addresses that will appear in this section. The problem will solve. Not the answer you're looking for? Browse other questions tagged git github git-push git-remote or ask your own question. How to fix “fatal: remote origin already exists.” on 'git remote add'? How do you correct a bad git “remote add origin” command?